Audio4fun announced an major updates for English builds of AV Voice Changer Software Diamond, 9.5.21. This release has been expected for months with UI updates and File Morpher feature enhanced. 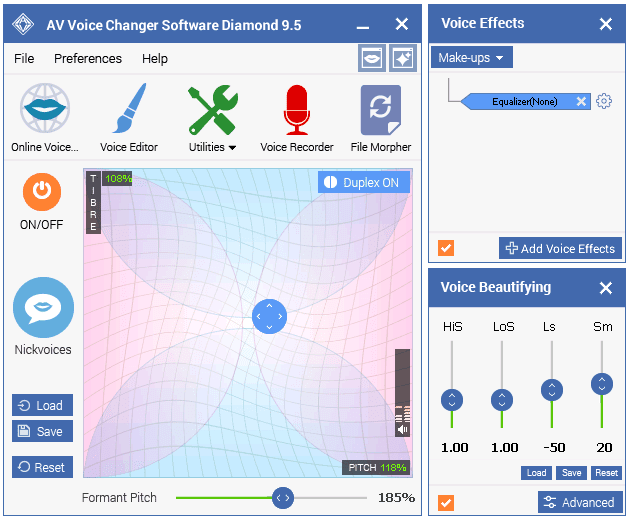 With an adjustment of 1 pixel blue border, Voice Changer Software Diamond UI should now looks clean and clear on any users' desktop background. This was a minor bug with the built-in Simple Recorder that most users would not notice. However, it is fixed now and those who love it would use it for saving recordings in Mono type properly. Pause is enabled, in case you want to take a break, during File Morphing process. Just a feature that allows user to pause the File Morpher process.